Strangely, I can't feel the weight of my original body stuffed inside my cloned body, like it never was there. That is good in a sense that it won't be a burden, but bad as I could completely forget about it and end up searching high and low everywhere. Obviously, I can't let it out when I feel like it: people might be watching even if I can't see them. Based on past experience, there could be guys with SLR cameras that is not a staff or student of my previous school hiding and taking pictures of students (girls especially). I know because I spotted them doing so. Because I was a guy back then, they saw me and offered to give or sell me photos they had taken earlier which range from questionable angles to professional shots. Otherwise, they would have ran away to somewhere for fear that I could report them. Well, I can understand why they were doing so in the first place as I was one of them. If they were to appear at this festival, I wouldn't mind them doing so because of how (unintentionally) cute I look, but not from below me! 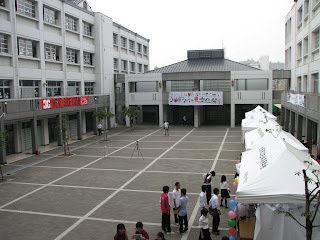 The school is mostly filled with posters, decorations, stalls that have been set up, but very few people. One way to describe this scene is when a normally-crowded shopping area has most of its shops closed, and thus, almost nobody around. The place is scheduled to be opened to the public in less than an hour, but won't be crowded until later on. I spot some large speakers being set up overnight thought the school. There are already Public Announcement systems, but those are not loud and clear enough. I overheard from some of the organizing committee that some of the classes that are being held today (especially the college section), the Library, and the Sick Bays are some of the places where the PA systems are isolated from the rest of the school. Glad to hear that there are quiet places in the school. Seeing that there are people at almost every corner, I have no choice but to release my original body when inside the cubicle. Due to the size of the body and the size of the cubicle, I had no choice but to sit on the toilet cover closed with my head against the wall as I tried to get myself out from my cloned body by having it to pull me out with one of its hands. This feels awkward. I hoped that when doing so, I would not accidentally touch a certain part of my body that would trigger forcing myself to do something that I can't stop myself until I had gone crazy, which I hate and is a waste of time. I don't know why my body has such a feature. I checked the clock of the mobile phone that was in the skirt pocket against the one that pulled me out: The clock was completely out of sync, in fact, the time showed the same time as I was put in. This confirms the possibly of time being frozen of things that are put in there. I checked the body temperature and is amazed to find that it is back to normal, as though the sickness never happened. The body ache and scars (from birth, pimples and childhood cuts) are gone too, like they were never there. Of course, I had to do all of this quietly so as to no attract unnecessary attention from the people that might be in the neighbouring cubicle. It's hard to tell, because I am at 2 places at once, but I had the feeling that one of me has been fast forwarded in time, but my view from it is the same as that of my clonned body. Getting out of the cubicle is now tricky as there is now the 2 of me inside the cubicle when there was only 1 of me when I entered. I don't know if there are people outside, but staying in here for too long is suspicious too, and the place could get more crowded. I took a peep outside and listened for any sound beyond the blaring music from outside. Seems that the coast is clear for now. Once I made my way outside, I took the violin case from my cloned body and headed to the reporting area while the other headed towards class. Time seems to fly by quickly as the place is already crowded and is bustling with activities everywhere. The leaves of the tall trees almost everywhere provide shade from the sun and a cooling breeze. Quite handy in the summer, although Autumn is approaching. The not-so-obvious lightning rods near the trees and at large open areas along major footpaths ensures that the trees, and more importantly, people won't get struck by lightning. Well, there are sheltered routes, but those are more winding and may sometimes involve climbing up or down the stairs to get across. I spotted Aiko and Kotomi walking together, talking to each other with smiles on their faces, quite some distance away from me in their respective school uniforms. How do they know each other? And they seem relatively close with one another. I would like to call them, but I would not want to spoil their fun. However, both of them spotted me and called me out before I continued on. I had known the both of them for quite some time now, but not together. Looking at them with a puzzled look, they asked me if I was wondering how they know each other. Kotomi proceeded on to explain that they were cousins of the same age and share the same interest. She then explained to Aiko that she (Kotomi) had first met me by accident early last year at her school back when I was a guy and met me almost everyday after that until the day before I turned into a girl back in May, 4 months ago, and did not see me again until last week. She added that she almost confessed to me back in May and did not recognize me until she heard rumours of a cute girl from another school (me) who keeps appearing at a particular class that I was at formerly walking with a guy that I was close with (Kenjiro Tanigawa). When she saw the news report about me being stabbed by bad guys later that day, she recognized me as the one who fits the rumours that was spread around school, including the guy who was crying on my hand at that time. But since my gender and given name is completely different, she didn't recognize that girl was me at that time. However, my face and family name did made her think so when I met her again when she accused me of being a spy when I was searching for Kenjiro back then. As Aiko was reminded of a related incident, by the same people, happening to me earlier, she said that she (Kotomi) should stop talking about it, seeing that I am crying. I was crying? I didn't know about it myself. Sure enough, tears were flowing out of my eyes and I could hear myself sobbing with my hands covering my eyes, impairing my vision. Well, my feelings as a girl do seem to be more sensitive than back when I was a guy, but thinking about what those guys had done to me and the images of myself as a dead body made this body feel worse. I tried to say in a normal voice that it's not Kotomi's fault that she mentioned about it, except that I did so in a sobbing voice with my hand now wiping my tears away endlessly. In fact, my sobbing turned into a loud cry that lasted for quite a while. I don't want to cry, and I know people are watching us, but my body seems to have a mind on its own, like it's a natural reaction based on what I had thought earlier, and I can't stop myself. How long do I have to endure this loud cry coming out of my mouth and the endless flow of water flowing out of my eyes? Aiko and Kotomi were trying to comfort me. I continued to cry until I fell asleep, tired and thirsty. 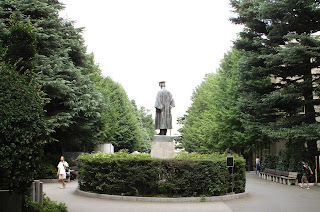 It took me a while to get to the location since it's located near the statue of the founder somewhere in the college area. 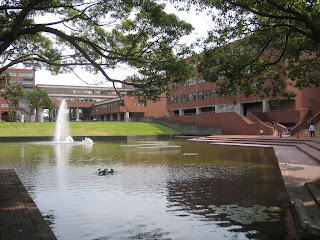 The college section itself occupies more than half of the school campus and it's easy to get lost. The only area I have visited before is the science research and the music departments, which is at the border with my senior high area, and one of the libraries, located at one of the far corners that can be easily mistaken as the library of a neighbouring town due to its proximity being much closer than my city. Almost all of the members there are already seated. Seeing that they were staring at me as I arrive with some of the audience being already gathered, it seems that it's about to start. I find it difficult to concentrate playing the violin as the other me was crying uncontrollably. It was so loud that I can hear a faint cry from where I am.